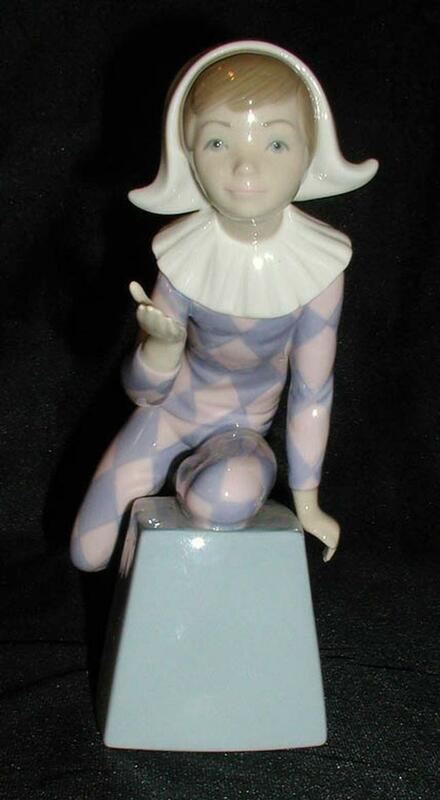 Lladro Figurine #5077 Harlequin C -- Lovely Lladro figure of a harlequin. Measures 7.75" tall; retired in 1985; perfect condition with no breaks, cracks, chips or repairs. 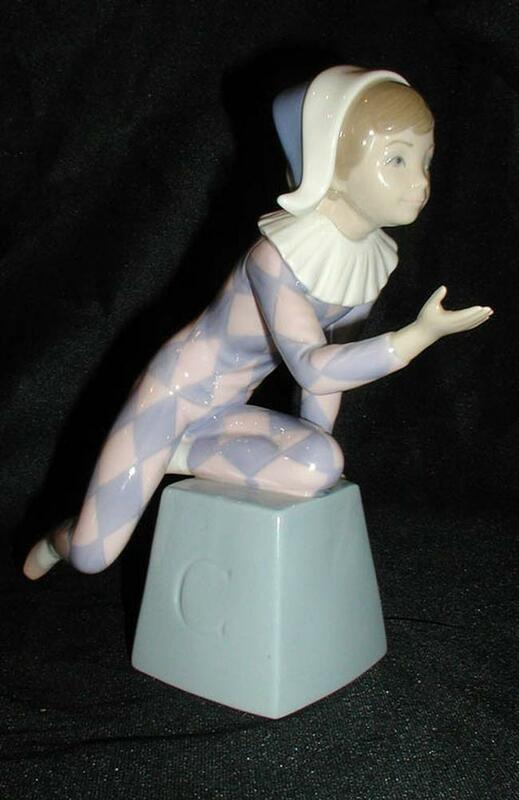 Lovely Lladro figure of a harlequin. Measures 7.75" tall; retired in 1985; perfect condition with no breaks, cracks, chips or repairs.